Everyone loves to drink cool and fresh water and a water dispenser is the best machine for providing it. These machines are nothing new, although they are becoming more popular at work and at home. In the past, they were mainly used by companies to provide employees with cool water, but now they are a popular appliance for home kitchens as owners recognize their importance and usefulness. The majority of offices do not have plumbed coolers, so the only other choice is a bottled dispenser. This machine is fairly light, so it can easily be carried around to different locations. This is beneficial for workstations that are constantly moving around like construction sites. 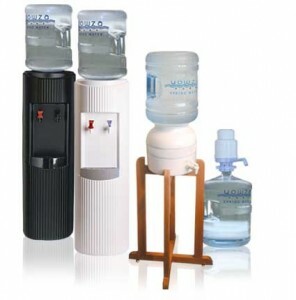 A bottled water dispenser can come in a variety of sizes. The smaller versions can easily fit on a table, while others can go up to 5 feet in height. These water dispensers are perfect for areas where plumbing water is not available and their portability makes them easy to move. They are also an excellent alternative to using tap water, because the water dispensed is much cooler and fresher. However, bottles for the cooler will need to be purchased and changed regularly. Full bottles are also quite heavy, making them difficult to place onto the cooler. The bottle-less cooler does not have any water bottles, making it a compact machine. This device is attached to a water line, providing an unlimited amount of water. The water is filtered first and then cooled before being dispensed. This method allows tap water to be used because there is a secondary filtering system located in the cooler. Installing a plumbed cooler is much more complicated because a connection needs to be established with the main water line, similarly to the work required in installing a Whirlpool ice maker. However, it requires minimal maintenance once it has been set up. The filter will need to be changed periodically to ensure the water is still clean. Maintaining the filter system generally requires the filtering material to be either cleaned or changed completely. This may need to be done once a month or every few months depending on the specifications of the dispenser manufacturer.